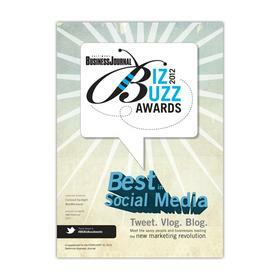 On February 10th, The Baltimore Business Journal announced their Best In Social Media Awards. I was honored that The Fast Growth Blog won Best Blog. It’s funny, I started writing this blog seven years ago simply because I felt like I had something to say and I was hoping there were people out there who wanted to listen. I had no idea the impact blogging would have on me, my business, or the readers of this blog. I remember talking to my brother when I first started the blog. He said to me, “We’ll see if you still have something worth saying a year from now.” Well, so far, so good. While it’s trite to say that the quality of this blog is what it is because of its readers, it’s also very true. The feedback I get online, offline and in conversations has provided the motivation and inspiration to share my insights and experience. So thank you for making this blog a delight for me.